SBRINEX is a black, microperforated polyethylene pipe, designed to eliminate the danger of icing on the greenhouses cover sheets. The principle of operation is based on the uniform distribution of a veil of warm water directly on the cloth. 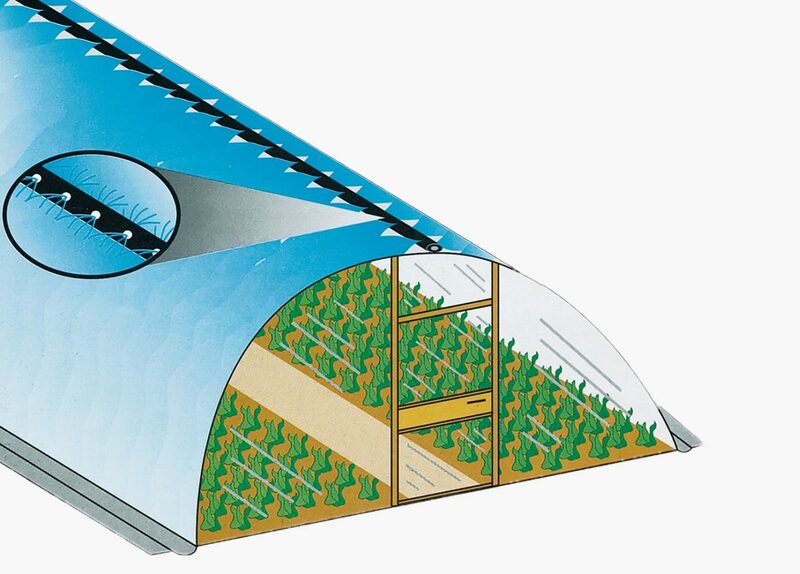 Waters from the well, due to the higher temperature of the soil, constitutes an insulating mantle all over the greenhouse, preserving film from sudden breakages, so avoiding crops damage caused by low temperature, and greatly contributing to energy saving. UV-resistant pipe to the attack of microorganisms and moulds, saline water, acids or alkaline solutions normally used in agriculture.